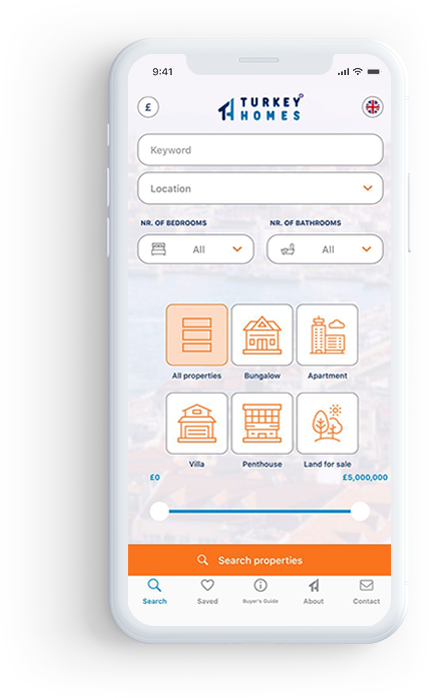 Our brand new Turkey Homes App lets you search through 1000's of properties in Turkey with multiple filters and features. Here are some of the reasons why our brand new property app is the perfect way to start your property search. Found your perfect property? Submit your enquiry through the app with the touch of a button. Great observation and testing have gone into our new app to ensure you are experiencing a user-friendly design. Check out our quick video tutorial explaining everything you need to know about our new Turkey Homes app. Here's what to expect from the Turkey Homes App. Copyright © 2019. All rights reserved by Turkey Homes.